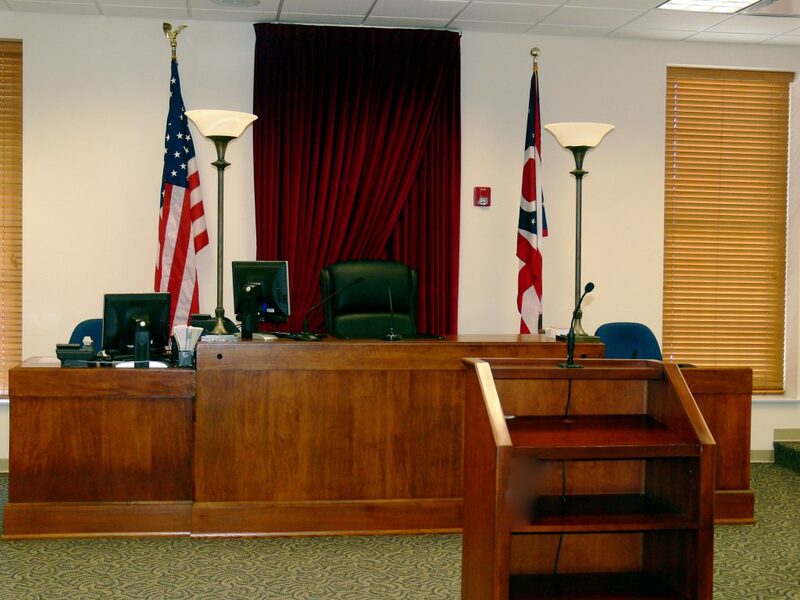 Always address the Magistrate as “Your Honor.” It is proper to stand when speaking to the court, unless you are seated at the witness stand or have physical difficulty in standing. Do not interrupt the Magistrate. The Magistrate is in charge of the courtroom. When the Magistrate is talking, it is generally about how the case is to proceed, or the Magistrate is making a legal ruling. It is vital that you just listen so you understand what the Magistrate is saying. Everyone needs to speak one at a time so the courtroom sound system can make a clear recording of the case. It is also impolite to interrupt another person talking. There is a specific order in which a case is presented. The Magistrate may allow the Petitioner one last chance to present evidence, called rebuttal. The Magistrate may or may not allow the parties to make closing arguments; in effect a summary or wrap up of why they think they should win the case. The hearing then ends, and the Magistrate makes a decision based on the evidence and the law, either in person from the bench, or in a written opinion delivered later. It is important to follow this sequence. The Magistrate will insist that the order in which he or she determines the case should be presented is followed. Do not try to change the sequence of the case as set by the Magistrate, or take things out of order. When you are asking questions of a witness, you are not allowed to make factual statements, such as “That’s not true” or “You’re wrong” or “I didn’t say that.” Those kinds of statements are not questions, and are not permitted when someone else is the witness. Do not argue with a witness. If you have facts to present, you will have to become a witness at another time in the hearing. When you are a witness, you cannot rely on someone else for testimony or guidance. Only the witness is under oath and legal rules about testimony apply. You cannot ask someone in the back of the courtroom for help with a particular answer. Also, people in the back cannot ask questions of the witness or speak to the court, unless the Magistrate asks them a question. When you are a witness and there is an objection, or the Magistrate is making a ruling, stop talking. There are detailed rules about what evidence is allowed. You must wait for the Magistrate to determine what is and is not proper testimony. If you are allowed under the evidence rules to testify about something, the Magistrate will tell you that and let you answer after the legal ruling. If you are calling yourself as a witness, tell the Magistrate your evidence in a clear logical pattern. It is generally best to testify going from earliest event to most recent event to avoid confusion. You can testify in ordinary words and just tell the Magistrate what happened. You don’t have to use fancy legal language, just the everyday language you are comfortable with. Try not to repeat yourself. The Magistrate may have some questions just to make sure everything is clear. After you testify, the other party will have a chance to ask you questions. Don’t leave the witness stand until the Magistrate excuses you as a witness. Be patient and respectful of the court process. You may disagree with the other party, but the Court will treat everyone fairly and equally. Anger and a rush to finish the hearing will just get in the way of a proper legal outcome. These guidelines are intended to help everyone present their case. This is not legal advice. You cannot ask the Magistrate for legal advice. If you feel you cannot present your case alone, you may hire an attorney at your expense.